I Edit. It Makes Me More Human. Editing makes me admit my mistakes. It makes me understand – I have a long way to go. It keeps me in place, lets me know where I stand. It makes sure I don’t get complacent with my writing ever. If I were to edit my earlier blog posts again, I would probably want to stop writing altogether. So there – editing also tells me how much I have grown. As a writer. As a person. Because when I edit, I see my own emotions. I get to figure out whether I am confused or clear, angry or calm, whether I have depression or charm. When I edit, it’s like I am looking at a mirror. And a very clean one at that (HD too if possible!). I write to teach myself what I already know (Duane Alan Hahn) . And editing is like revision. The more you revise, the finer you become. The finer your become, the better you are as a human. I try to write well, often. And I fail at it miserably. I am now trying to improve as a rewriter. And I know for a fact that every good writer has a lot of trouble writing. Editing is what saves them. Every time. Like the Qs and Us sticking together all the time, writing and editing go hand in hand. 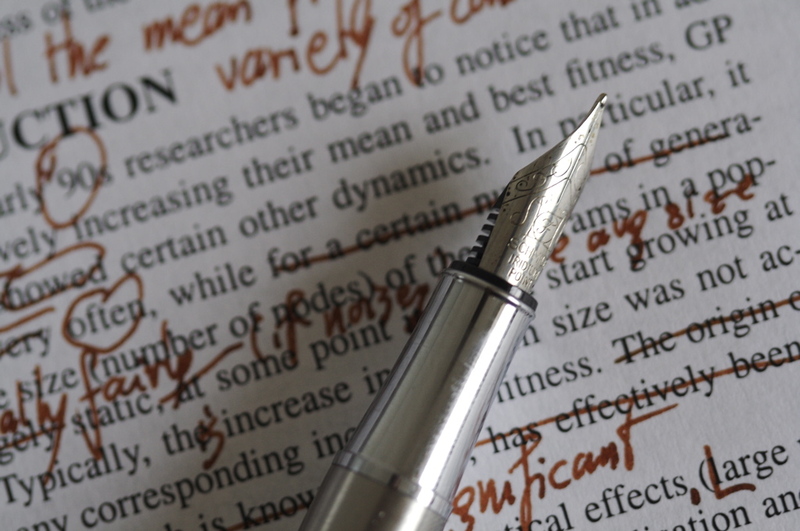 Logic, clarity, reason, purpose, brevity, direction, a new lesson in every updated draft, love for writing and much more, which my brain eludes me right now (probably editing will do the trick) – is what editing gives me. And that’s why I edit. It makes me more human. P.S – This is the 4th & final draft of the original piece of crap that I had written (every 1st draft is like that). So true, whenever somebody asks to write something gor them – they think I will correctly write it in one stroke. That is why i tell them its just crap. Then I improve upon it. For me writing has become like architecture – you first beuild the base, then put the framing metal bars into the base, after that start putting the bricks.